Marriage is a social institution as old as the human race itself. It may be defined as a relation between a man and a woman who is recognized by custom or law and involves certain rights and duties, both in the case of the parties entering the Union, and in case of the children born. Marriage has thus two main functions to perform: it is the means adopted by human society for regulating relations between the sexes; and it furnishes the mechanism by means of which the relations of a child to the community are determined. But there are certain limitations too, to form this bond of marriage. 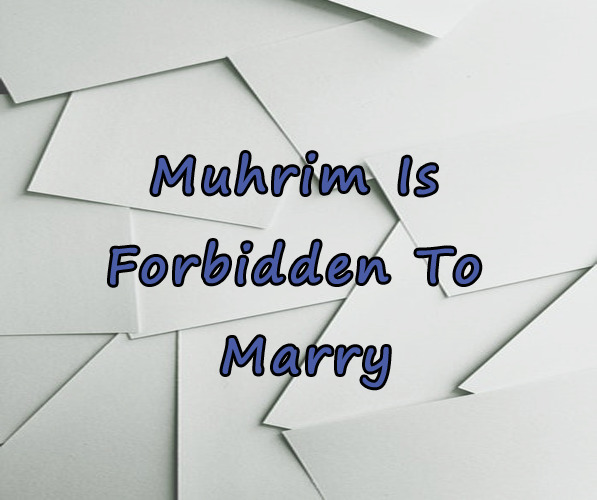 In Sahih Muslim, book 8, Kitab-al-Nikah (The Book of Marriage) it is mentioned in chapter 5 that Muhrim is forbidden to marry. Nubaih b. Wahb reported: Umar b. Ubaidullah b. Ma'mar sent me to Aban b. Uthman as he wanted to make the proposal of the marriage of his son with the daughter of Shaiba b. Uthman.He (Aban b. Uthman) was at that time (busy) in the season of Pilgrimage. He said: I deem him to be a man of the desert (for it is a common thing) that a Muhrim can neither marry, nor is he allowed to be married to anyone. It is Uthman (b.Affan) who reported this to us from Allah's Messenger (may peace be upon him). Hence, all of the above mentioned narrations from Sahih Muslim show that it is prohibited to marry when you are in the state of ihram.